The Weight of Ink, by Rachel Kadish: This is the kind of book you can't stop reading, but you don't want to end. Filled with richly drawn (and flawed) characters, the novel's story lines are heavily built around characters’ encounters with their own flaws. The parallel stories – four centuries apart – were equally compelling, and the mystery of how each would end propelled me through. A fabulous read! The Marrying of Chani Kaufman, by Eve Harris: To be honest, I was somewhat surprised this book was long-listed for the Man Booker Prize because although I enjoyed it at the time, I’ve not thought about it since turning the last page. Neither the characters nor the story’s details have stayed with me, and, it seems, there was little to ponder or chew on once Chani and her groom (I can’t even remember his name…Ben? Jacob? Shmuel?) were actually married. How Doctors Think, by Jerome Groopman: I’ve eyeballed Groopman’s books many times, but only read this one after picking it up at the annual Bryn Mawr Wellesley book sale in Princeton. As someone who uses our broken medical system extensively in an attempt to remain healthy despite heavy odds, I appreciated Groopman’s perspectives and insights, culled from both his professional expertise and his own forays into the system as a patient. Mothering Sunday, by Graham Swift: “You must read this one,” my sister said emphatically, our arms already full of treasures from our afternoon of browsing with our dad at the Bryn Mawr Wellesley book sale. Heeding her advice, I found a real gem: beautifully written, poignant, thought-provoking, and sad, with more than a bit of staying power. 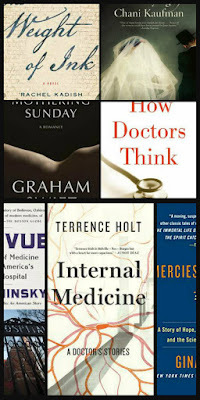 Internal Medicine: A Doctor's Stories, by Terrence Holt: Following in the footsteps of William Carlos Williams, Michael Creighton, Robin Cook, Siddhartha Mukherjee, and other physician-writers, Holt offers a collection of short stories that bring heart and soul to the clinical side of becoming a doctor. The author is a former literature and writing professor, and more than once I had to consult the dictionary to look up words I didn’t know. Mercies in Disguise: A Story of Hope, a Family's Genetic Destiny, and the Science That Rescued Them, by Gina Kolata: Given my interest in diseases caused by inherited genetic mutations, this book, which details the Baxley family’s experience with Gerstmann–Sträussler–Scheinker syndrome (GSS), caught my eye. The non-fiction account reads like a novel and gives me renewed respect for pre-implantation genetic diagnosis (PGD) and the tremendous hope it brings to families whose mutations cause a certain and horrible death. May science continue to search for answers around GSS and other prion diseases, and may the efforts bear fruit quickly – for the Baxleys and other families affected by these genetic mutations. Bellevue: Three Centuries of Medicine and Mayhem at America's Most Storied Hospital, by David Oshinsky: A soup-to-nuts biography of Bellevue Hospital, this book is more accurately a sociological study of New York City, public health, and a colorful cast of characters including physicians, research scientists, and politicians. The early history of today’s behemoth medical center, in particular, is filled with fascinating stories, including the “invention” of ambulance service, which began with horses and buggies in the streets of 17th century Manhattan. A dense and wonderful read! I’m currently about 100 pages into Sapiens: A Brief History of Humankind, by Yuval Noah Harari. A heavy, slow read (like so many other of my choices) we may be well into 2019 before I finish it. Having said that, I, once again, will aim to read six books in the new year, and hope they prove to be as enjoyable and enlightening as the ones I read in the year now ending. These people, places and things (but nothing with a SKU or UPC code) are bringing me joy and gratitude this Black Friday – and all year long. Despite my love-hate relationship with the city – its noise, crowds, transit system, and other offerings, good and not so good – there’s nothing quite like helpful New Yorkers, bodega coffee, or crossing 23rd Street against the light on a holiday morning when New York shows us its quiet side. From crunches to rowing, lifting to running, boxing to jumping, the two hours I spend under William’s guidance each week make me a partner in caring for my body, building physical and emotional strength, and expanding my world with a small view into the life of an Ecuadorian immigrant family. 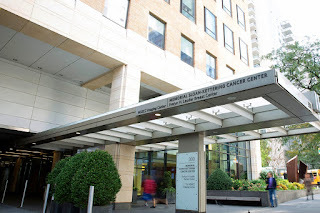 A visit to the Evelyn H. Lauder Breast Center at Memorial Sloan Kettering Cancer Center right before Thanksgiving each year not only reminds me not to take my health for granted, but also to remember the hundreds of people who, whether they know it or not, play a role in ensuring my inherited genetics don’t determine my destiny. In a large congregation, it’s a blessing to slip into “my pew” on most Saturday mornings and to connect to the people around me, and the prayers, music, and rituals that will unfold in the coming hours. Torah study, too, connects me to my (ancient) people, unchanged by the millennia, but ever-changing because of my own new perspectives, knowledge, and “ah-ha” moments. More than an individual's presence, it is the love, support, joy, laughter, humanity, honesty, attention, time, and more that we share with one another that makes my life rich and full. Thanks to the people in my village and in my world – near and far, new and not so new, known and unknown – I truly have everything I need. We owe you an apology. We didn’t mean to laugh with such abandon at your grave yesterday, so please let me explain. In any case, when we were finished visiting my mom and her parents, we wandered over to the front of your tree trunk, which my dad told us often symbolizes a life cut off before its time. In fact, you were a mere 28 years old when you died in 1943. We studied the stone which holds a black and white image of you, wearing a large fedora-style hat. Indeed, you were a handsome guy. My father told us in his experience, it’s often Russians who place photos on gravestones such as is on yours. Perhaps you were Russian…perhaps not. With that, we all exploded into peals of laughter. It was the kind of laughter that makes tears run down your face and the more we laughed, the less we could stop. It’s a good thing it was Shabbat and there was no one around. We truly meant no disrespect. So, you see, that’s how we came to laugh so uncontrollably at your grave. In addition to our apology, though, I think we owe you our thanks, too, for bringing us a bit of joy on a gray, sullen Saturday. I suspect we’ll visit your gravestone again whenever we’re in the cemetery and that it always will bring us a sweet memory. In the meantime, rest in peace Nathan Finkelstein. 1. What is a Universal Life Minister and why are they so popular as wedding officiants? 3. Speaking of the calendar and the weather, now that we’re praying weekly for wind and rain (mashiv haruach umorid hagashem), when will we see the first flakes of snow? And when will Jim Cantore be out there in the thundersnow ? Tomorrow? 4. Now that I’ve finished Bellevue: Three Centuries of Medicine and Mayhem at America's Most Storied Hospital, what should I read next? 5. Am I the only person whose Facebook account hasn’t been hacked? Happy Sunday, folks. Have a good week! Late summer sunshine on the Hudson is spectacular. When you look, you can find the beauty in creation. It’s out there. Karma, for lack of a better word, exists. What you put out into the universe comes back to you. Get behind a cause you believe in to help repair our broken world. The people in your orbit matter. Surround yourself with an ever-widening circle of those who bring you joy and help you laugh, cope, and get the most from this life. A long, loving relationship is a holy thing. Those who have one truly are blessed. 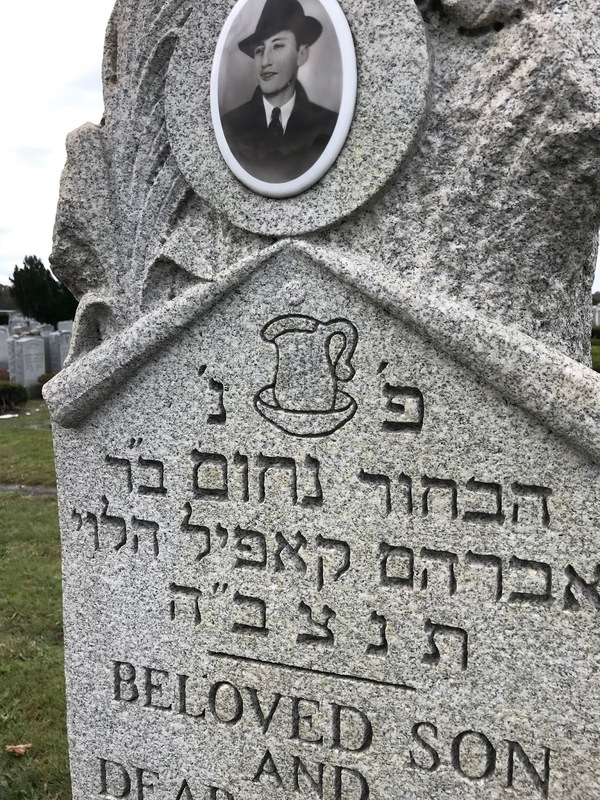 Kudos to whomever developed Jewish mourning rituals. The thud of dirt on a casket stings, but laughter, hugs, and sweet memories salve the wound a little bit each day. Don't pick at the scab. Healthy eating is a noble goal, but when grilled cheese is (the only thing) on the menu, eat up. 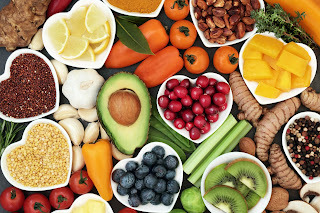 Sometimes you have to feed your body and your soul. The hell with the carbs. 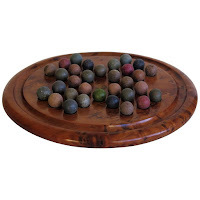 I #BloggedElul (#BlogEluled? #BlogElulled?) consistently and completely in 2016 and 2017 and it was a meaningful exercise each time, but here are five reasons I’ve opted not to participate this year. When Rosh HaShanah arrives, I’m exhausted. I spend the weeks leading up to the High Holidays writing and editing countless blog posts and lots of web content for ReformJudaism.org. 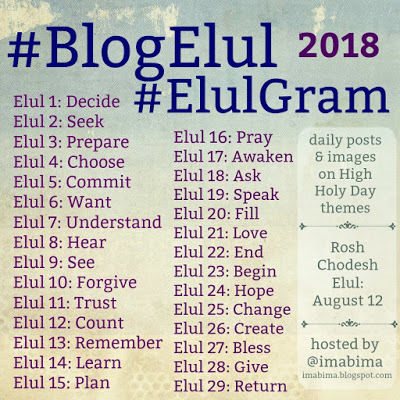 Add in #BlogElul and by the time the first of Tishrei arrives, I have little, if any, spiritual bandwidth left to do the work the holidays require. I am tired of multi-tasking. Often, I eat a meal at the computer; flit back and forth between paying bills and reading emails; start a task, get distracted (usually by technology), and only return to it hours later. On video calls at work, too, I'm baffled by people's ability to listen to whomever is speaking, ask questions, offer opinions, keep abreast of (and participate in) side conversations in the chat box, and read related articles, websites, and more, the links to which others constantly share. I. Can't. Do. It. All. I want enough time to focus on one thing at a time, including #BlogElul –– and to do it without distractions and without interruptions. One a.m. is not a suitable bedtime. Two nights each week I work out with a trainer. It is simultaneously grounding, invigorating, and physically exhausting. By the time I shower, eat, and take care of whatever else demands attention, it is often much later than I’d like. I’ve been striving for lights-out at 10:30 p.m. on those nights – and on the nights in between – and I'd like to hit that mark at least a few times a week. “Let’s get together soon” has become an empty promise. Recently, I’ve run into a few neighbors and emailed with some former colleagues whose company I enjoy. We chat or email briefly before the conversation inevitably ends with “Let’s get together soon.” Sadly, it rarely happens. I want time and energy to fulfill those empty promises -- and others -- with face-to-face companionship. I think the bottom line here is that I need and want to slow down, to stop burning the candle at both ends, to focus – one at a time (and in a non-selfish way) – on people and activities I know will be fulfilling and meaningful to me, and perhaps even have time to discover some new ones as well. I believe that doing so will lead to less frustration, fewer empty promises, more sleep, and more enjoyment of simple pleasures, all of which will help me be my best self in 5779. 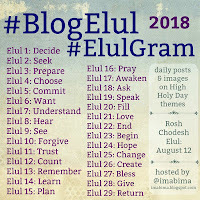 Inspired by Ima on (and off) the Bima, this #BlogElul post may be the only one I write marking the days of the Hebrew month of Elul, which precedes the Jewish High Holidays and traditionally serves as a time of reflection and spiritual preparation for the new year.